Turkey's 9th president, Süleyman Demirel, passed away at 91 on Wednesday in Ankara. 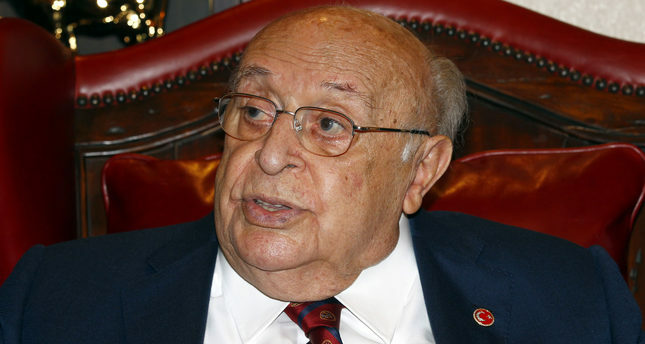 Hospitalized on May 13, Demirel's health condition worsened late on Tuesday. According to the staff at Güven Hospital where the former president was being treated, Demirel passed away at 2:45 a.m. The cause of death was announced as heart and respiratory failure. Demirel is expected to be interred in a mausoleum in his hometown of İslamköy village in the central province of Isparta. Serving 12 years as prime minister in five different terms, Demirel was one of the most influential figures in Turkish politics. He was known for his unique and swift responses to the press and his many nicknames, the most famous being "the Father." Born in 1924, Demirel was the last surviving politician among his contemporaries such as Alparslan Türkeş (1917 to 1997), Bülent Ecevit (1925 to 2006) and Necmettin Erbakan (1926 to 2011). Kenan Evren, the seventh president and leader of the 1980 coup staged when Demirel was prime minister, recently died on May 9. Coming from a peasant background, Demirel worked as a shepherd while attending school, and during his career, he was nicknamed, with both positive and negative connotations, "Çoban Sülo" – Süleyman the Shepherd. He graduated as a civil engineer from Istanbul Technical University and was the classmate of many other right-wing politicians like the eighth president, Turgut Özal, and former Prime Minister Erbakan. He began his career in government in electrical power planning in 1949. In 1955, he was appointed as the Director General of State Hydraulic Works (DSİ), which later gave him the title of "the King of Dams" in his political life. Following the 1960 coup, he joined the newly-formed center-right Justice Party (AP), which succeeded the overthrown Democratic Party. He became the party's leader in 1964 and led the AP to a landslide victory against İsmet İnönü's Republican People's Party (CHP) in the 1965 elections by receiving 52.9 percent of the vote. 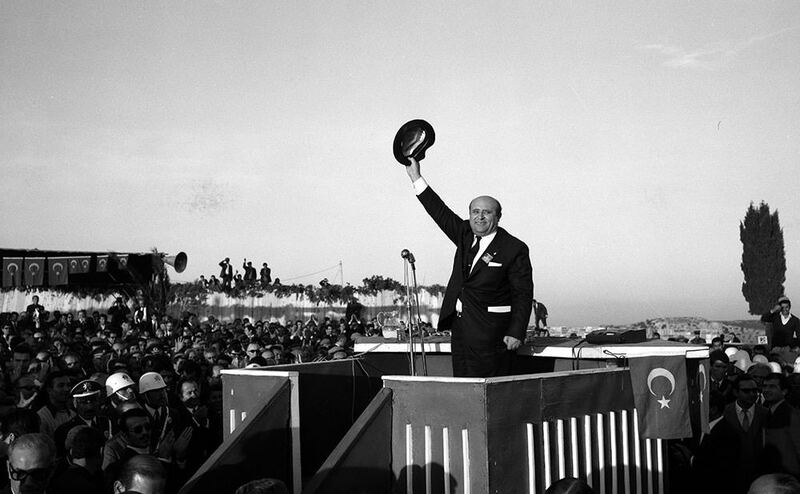 During his first term as prime minister, Demirel and his team of "engineers" undertook major projects including the Bosporus Bridge and the Keban Dam while Turkey managed to achieve a high growth rate securing Demirel another victory in the 1969 elections with 46.5 percent of the vote. Meanwhile, Turkey's growing fledgling student and worker movements, which gained further momentum following the global wave of protests in 1968, led to the military memorandum of 1971, which forced Demirel to resign and back the extra-party technocratic government. 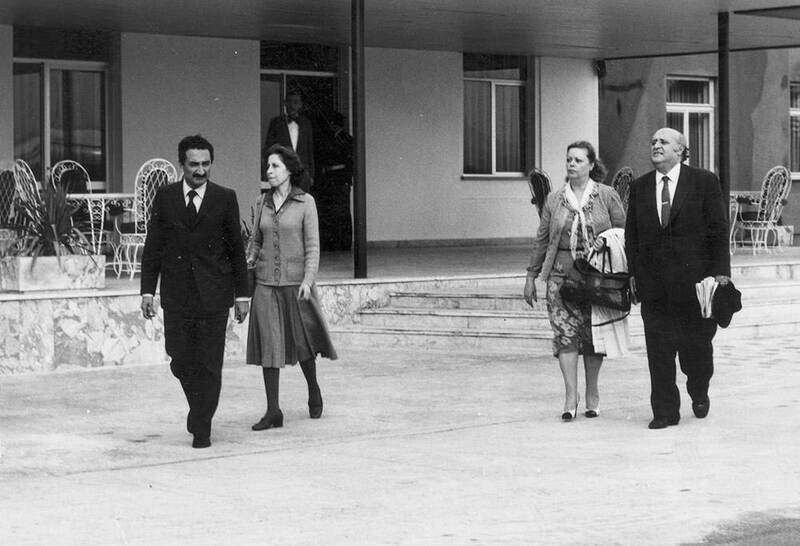 Until the 1973 elections, Demirel and Ecevit, the CHP's general secretary who replaced İnönü with his stance against the military in 1972, tried to curb the influence of the military in politics, a cooperation never to be repeated during the turmoil of the 1970s. Due to the split within the AP and the emergence of new alternatives in the Turkish right such as Erbakan's National Salvation Party (MSP), Demirel's AP finished second in the elections with 29.8 percent of the vote. Fragmented Turkish politics backed by the 1961 constitution deemed "too liberal," not only affected Demirel and the AP, but also led to unstable, short-lived governments that eventually led to the 1980 coup. Demirel returned to power in 1975 after forming a coalition with four right-wing parties dubbed the "National Front." Meanwhile, Turkey spent 200 days without a government following the collapse of the CHP-MSP partnership. This period also marked the beginning of an economic decline in Turkey. The runner-up AP managed to increase its votes as other center-right parties ceased to exist in the 1977 elections, and formed a second National Front government with the MSP and Türkeş's Nationalist Movement Party (MHP). Ecevit's CHP, which was only 13 deputies short of forming a government after the elections, transferred 12 deputies from the AP to pass a motion of censure against the government, of whom 11 were given ministerial posts as the CHP founded the new Cabinet. Demirel conducted a harsh opposition against the government, which suffered heavy blows in the economy and security fields. The 1979 by-elections saw a victorious AP, and Demirel managed to form a minority government, dubbed as the "reluctant National Front" with the support of his old coalition partners. Ideological terror between right- and left-wing organizations characterize this period, as more than 3,000 died before the military took over on September 12. Although martial law was applied throughout Turkey prior to the coup, political instability and the ideological split of the country prevented politics from functioning normally. Due to the feud between the CHP and right-wing parties led by the AP, new president could not be elected for 124 consecutive rounds – a period lasting more than five months. The main activity of this government is known as the January 24 decisions, which had anticipated a switch to a liberal economy while drastic measures were prescribed for the ailing economy, although Turkey's political system was not suitable to carry out such measures at the time. Demirel along with other political party leaders and thousands involved in politics was imprisoned following the coup and banned from politics until the referendum in favor of permitting their return in 1987. 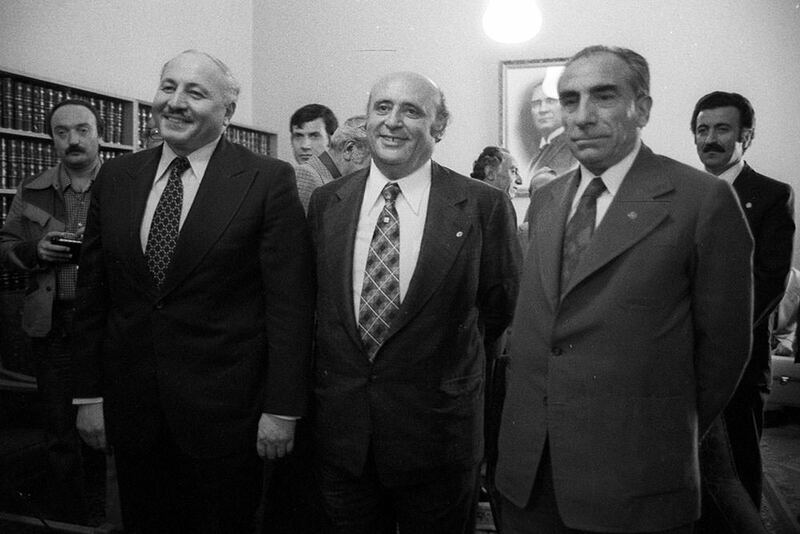 Özal, Demirel's undersecretary of the Prime Ministry and mastermind of the January 24 decisions, founded the Motherland Party (ANAP) and won a landslide victory in the 1983 election, in which three parties were permitted to enter. Parties linked with Demirel were not allowed to participate, and thus Demirel did not accept Özal's leadership, creating a split in Turkey's center-right that was only to be removed with the Justice and Development Party's (AK Party) success in the 2002 elections. He took over as chairman of the True Path Party (DYP) in 1987 and finished third in the 1987 elections. However, as Özal replaced Kenan Evren as president, ANAP's liberal policies started to take its toll, and Demirel's DYP was again the winner in 1991 forming a coalition with the center-left Social Democratic Populist Party (SHP). Following Özal's sudden death in 1993, Demirel was elected as the ninth president of the Turkish Republic by Parliament on May 16, becoming the head of state just 13 years after being banned from politics. Demirel followed a more or less bipartisan course during his term as president. In the post-Cold War period, he put a lot of effort to bringing together the former Soviet Turkic republics and increased cooperation in the Black Sea region. However, his term saw the increase of PKK terror, and relatedly rising power of the military in Turkish politics and the economy. His involvement with the leadership issues in his former DYP was also widely criticized. Demirel favored Tansu Çiller, a young female economics professor at the time, to replace him as the chair of the DYP, antagonizing the elders of a party that had a traditional patriarchal structure. Under Çiller, who also replaced Demirel as prime minister, Turkey suffered a major economic crisis while the entire Kurdish question with its social, cultural and economic aspects was handed to the security forces. It also led to a change in the party structure and voter base and the DYP finished third in the 1995 elections behind the right-wing Welfare Party (RP) of Erbakan and ANAP led by Mesut Yılmaz. 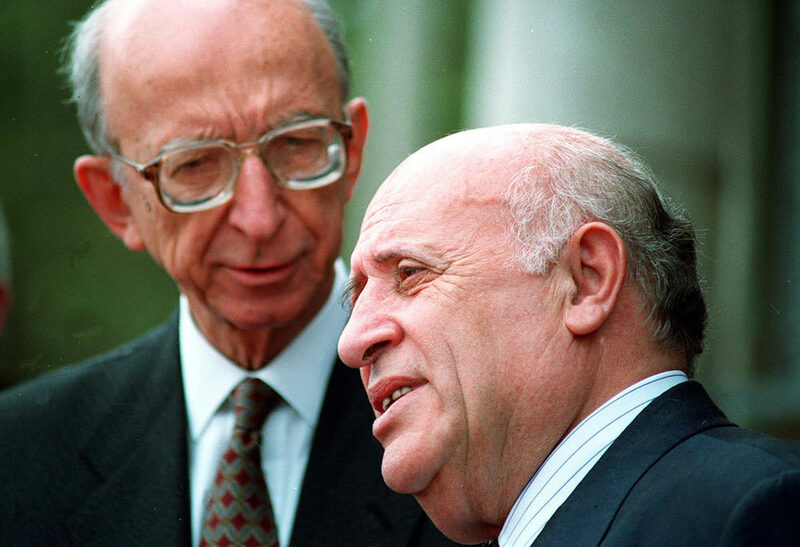 Demirel was accused of facilitating every coalition option that kept the RP out, which was seen as the demon of Turkish politics at the time due to its conservative stance and the military's effect on politics. 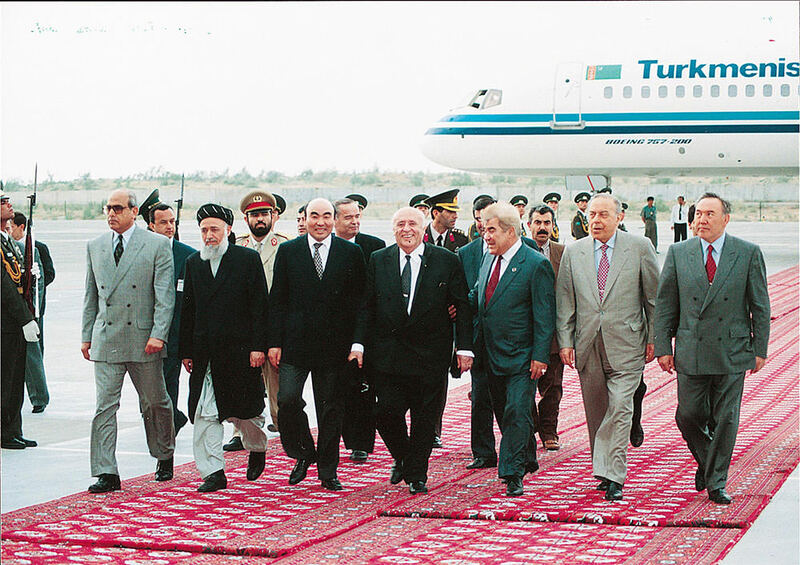 Çiller had to form a coalition with the RP in July 1996 after a failed coalition with arch-rival Yılmaz, leading to a series of events that ended with the post-modern coup of 1997 in which the military handed the government a heavy memorandum regarding secularism and other issues in a National Security Council meeting on Feb. 28. When Erbakan resigned three months later in order to prevent an actual intervention by the military and the government was preparing to form a new Cabinet to be led by Çiller who had the majority, Demirel gave the duty to form a government to Yılmaz of the ANAP, who was later backed by Ecevit's Democratic Left Party (DSP) and DYP's inner-party opposition led by Demirel's close aide Hüsamettin Cindoruk that had split from the party. Although Demirel's move was within his constitutional boundaries as president, it was without precedent in Turkish politics, and it was interpreted by many as the actual coup itself. When his term ended in 2000, he handed the duty to former Constitutional Court head Ahmet Necdet Sezer on May 16, putting an end to active politics. However, even after 15 years, it is a widely-known fact that Demirel still had a sizable effect in politics.